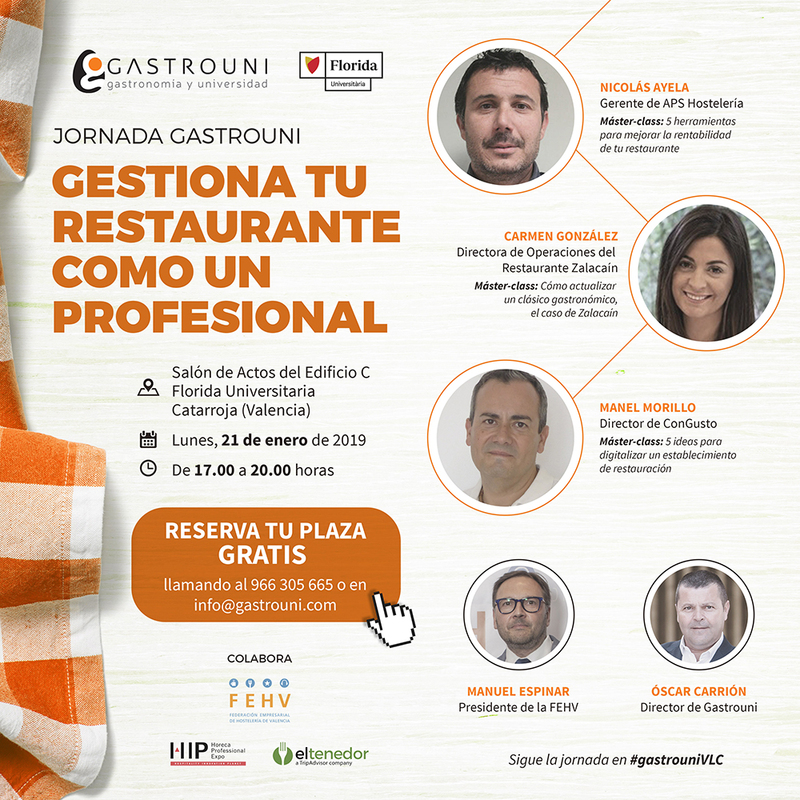 Gastrouni organizes a new free training day to drive business performance of professionals in the hospitality and catering Valencia. Under the name of "Manage your restaurant as a professional”, Monday 21 from January, from 17.00 a 20.00 hours, in the Hall of Building C of Florida Universitària (Catarroja, Valencia), They will be held three fully practical sessions and applied 45 minute in which they participate Nicolas Ayela, APS manager Hospitality, Carmen González, director of restaurant operations Zalacaín, Y Manel Morillo, director of Congusto. Each of the speakers will share their experience and know-how business when the most profitable and professionalize a public house. Collaborate on this day the Business Federation of Hotel Valencia (FEHV), he Hospitality Innovation Planet (HIP) Y ElTenedor.